I have just prepared a series of old work on paper to be re-used as drawings and small studies on paper. The works were originally developed as a conceptual process of writing letters or cards to artists I liked, a one way correspondance, talking to the artists, some of which have long been dead, as though they are close personal friends. The work was interesting, though I felt that it had room to grow in a different way and at a different time. And I thought it best not to waste the materials I have on hand. 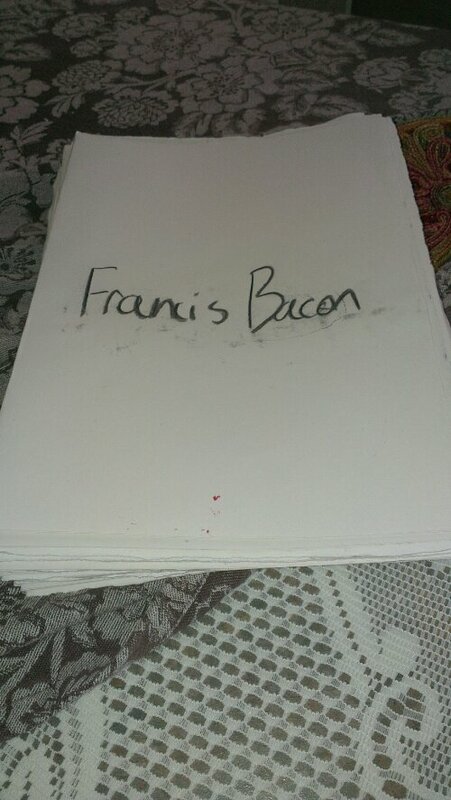 So I have torn the cards in half to make roughly 96 seperate pieces of paper to work on. 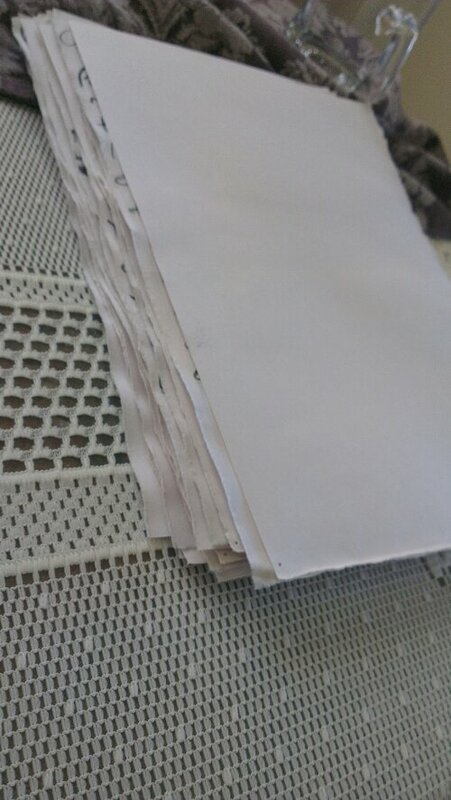 And also there is the possibility of increasing the total number of works by again halving some of the paper to create smaller sheets to work on, making them more portable and accessible. I will be work on top of the existing text, I feel the potential for interesting visual outcomes, the typography lending to the potential aesthetic outcome. A majority of these will be featured in a solo show I am planning on having later this year. Stay tuned for updates and progress.